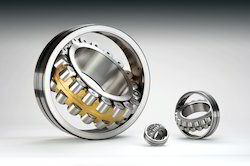 Offering you a complete choice of products which include spherical roller bearings, jinning mill bearings and industrial bearings. Spherical Roller Bearing With Brass cage. Spherical Roller Bearing Mostly used for industriesl purpose.